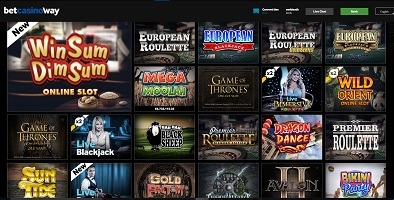 When you scroll through Betway’s beautiful responsive pages it’s immediately apparent that there are a huge number of casino games on offer. The blackjack alone features over thirty different variants and is how Betway won our top spot for Best Blackjack Casino. They are strong on other casino games too and it’s clear that table games here are something of a speciality. I also want to give a special mention to their slots games. Betway has taken a decidedly dark turn in its delivery. Where most online casinos go for the cutesy-factor, with their ‘Game of Thrones’, ‘Jurassic Park’, and ‘The Dark Knight’ slots, Betway clearly enjoys the sinister side of life – even their cutest game, ‘Scary Friends’, is full of monsters. The jackpots are pretty scary too, with some now in excess of £8m! We were also really impressed with their sports betting and in-play sports; this is unquestionably their flagship product. Those of you that like tactical betting will love the wide choice they have in sports bets. Covering sports from all around the world, including NBA, NHL, The Premiership, IPL, etc. even the most obscure of tastes are met. Also worth a mention is the bingo section, where some of the progressive jackpots are currently in excess of £12K. The selection of rooms could do with being a bit larger, but it’s OK.
Betway offers a decent number of payment options, including PayPal, Visa Credit, Click And Buy, Click2Pay, Instadebit, Eco, Skrill and Neteller. The welcome bonus is also pretty decent, and probably reflects their relatively new arrival to online gambling scene: trying to hook us in with that sweet nectar, free money. Initially, they offer three match bonuses for your first three bets, with a total of £1000 up for grabs. They also offer ongoing bonuses as you play. Betway’s website is responsive, easy to navigate, has fast loading games, and great graphics – incredible graphics, in fact. The software is mostly from the Microgaming studio and features all of their latest output. Unlike many of the online casinos, I didn’t have to wait for games to load. The only exception was the bingo rooms, which took a good 20 seconds to load. As members of the Remote Gambling Association and with eCogra testing, you can rest assured that the games are fair and as described. Betway are one of the big hitters when it comes to gambling in the UK and have even got a shirt sponsorship deal with West Ham United football club. Safety is one thing you won’t have to worry about at Betway. Finally, those of you that love the social aspects of online gambling will benefit from Betway’s large user base which means the bingo rooms, multiplayer blackjack, poker, and live dealer tables are always bustling with action. In fact their live section has one of the most comprehensive selections of games you can find anywhere online with not just a great selection of dealers but also exciting variations on standard game rules. 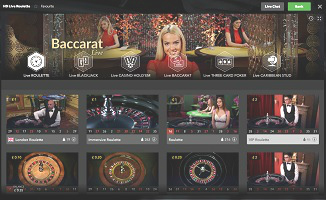 Betway Casino Review: Payout Issues? We’ve heard a few complaints about difficulties with pay-outs. There appears to be some contention with the way players use the bonus. When we looked into this we discovered that the wagering requirements stipulate that you can’t use blackjack and a few other high payout games, otherwise the casino can hold any winnings. While this sounds strict it is actually standard procedure for most big casino companies. We also saw that there have been issues with the 50x wagering requirement. This seems high but it’s actually also standard – what Betway have done is say that only the bonus amount needs to be wagered 50x, whereas most casinos state that you have to wager bonus AND deposit, usually around 30x. This actually makes Betways bonus MORE generous than most casinos. Make sure that you understand the Ts&Cs of any bonuses you receive, and you will not have any problems. While they cater to both Android and Apple platforms, there’s no Windows app as yet. Most of you won’t have made the mistake of buying a Windows phone/tablet, but some of us did, and it would be nice to have some decent gambling options. So back to the earlier question, “Does Betway warrant a place alongside the most prestigious names in online gambling?”, maybe not quite, but they’re getting there – and that’s not bad for a casino that’s only really been around since 2014. We’d definitely recommend trying them out.